Photos of laundry hanging out to dry in Italy are plentiful and quite popular. Shirts, pants, underwear and sheets all wave in the breeze on a backdrop of colorful buildings; it’s as if they are begging to be photographed. I’ve heard some people refer to these photos as cliché. I prefer the term quintessential. 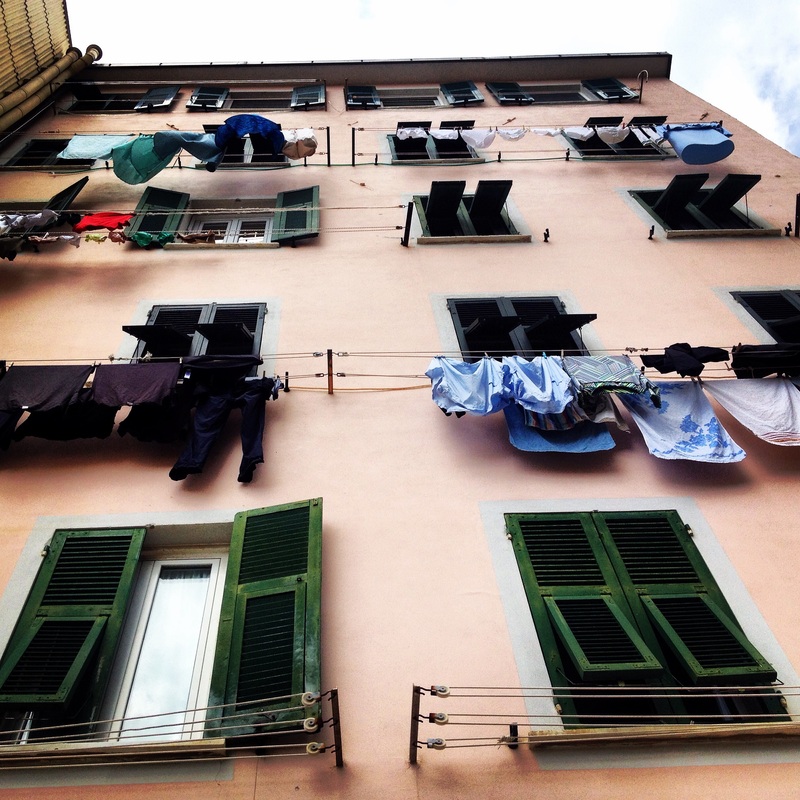 Hanging clothes out to dry is just a part of everyday Italian life. 99% of locals do not have dryers in their homes as space here is of a premium and utility bills cost a small fortune. Obviously weather plays a huge factor and locals always seem ready to spring to action to pull the laundry from the lines should drops of rain start to fall. I had never, ever hung clothes out to dry until I moved to Italy. I soon learned that it’s an art form with a lot of technique involved. I’d like to think that I’ve now learned the tricks of the trade, including how to hang clothes without leaving telltale clothespin marks and how to hang things without stretching them out in all the wrong spots. Have you noticed the pulley systems for some of the clothes lines? Yeah, those can be a bit tricky to master. Trust me, properly hanging laundry was trial and error and I didn’t figure it all out overnight (and I must admit that my husband’s shirts bore the brunt of my R&D). So, the next time you see a photo of laundry hanging out to dry know that this isn’t a colorful show put on for visitors. This is everyday Italian life. Appreciate the art. And try your hand at it if you’re given the opportunity. 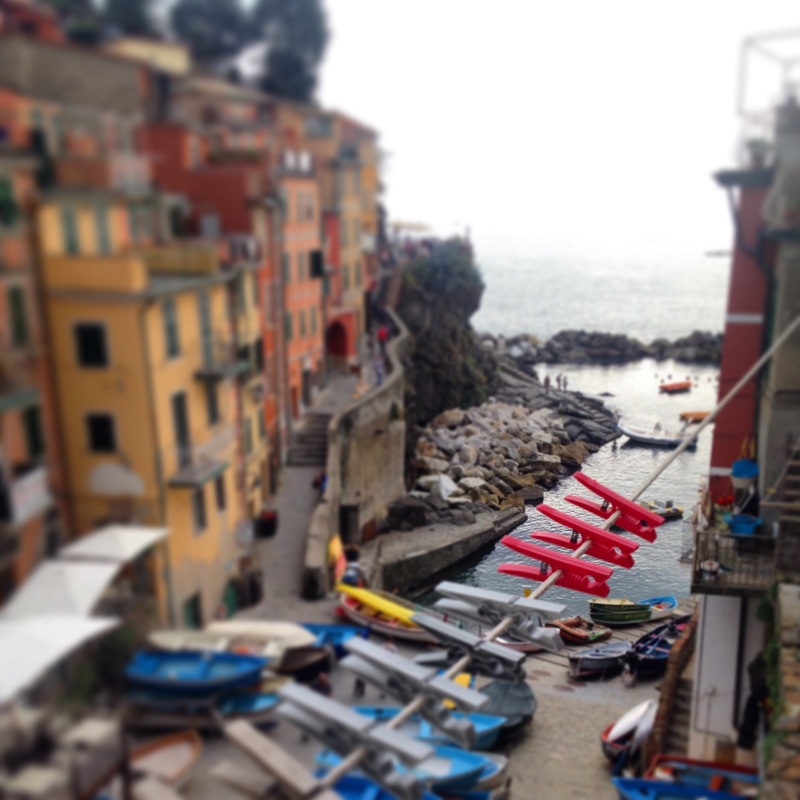 Previous Previous post: What’s the deal with the Cinque Terre Card?